"The prompt and professional service I received from yourself and LUV Asset Finance led to quick turnarounds and high growth. Without them it would have been much more difficult to achieve our companies targets. Would definitely use again and highly recommend." "Thank you for another seamless transaction acquiring our new bespoke Bluelight driver training vehicles to add to our fleet. Your quick response and fast turnaround in organising the correct package has ensured we meet our deadline in getting the vehicles out to the customer. As always Richard a highly professional and personal service, much appreciated." "Having been introduced to Richard in 2016, my business has gone from strength to strength. Having initially paid cash for assets, this restricted my growth plans and because of Richard / LUV Asset Finance, my business has gone from having 2 vans to 8 vans and 4 excavators, as well expanding my workforce from 2 to 8 staff. This growth has enabled me and my business to acquire a permanent office and trading yard. This has meant my business has become one of the largest independently owned drain services businesses in the North West of England. I cannot speak highly enough of Richard’s business acumen and his professionalism and can’t thank him enough. Am happy to recommend Richard & LUV Asset Finance to any businesses requiring asset finance." “I’m a new customer to LUV and was a little overwhelmed at the thoughts of financing, but my business was growing and I needed equipment. From start to finish their services have been very personal and professional. The speed of their communications is outstanding. 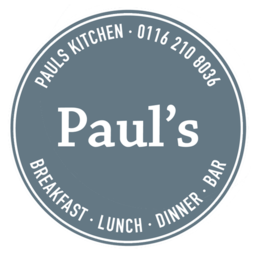 Thank you all for your help growing Paul’s kitchen”.